In this series of tutorials we’re going to create template projects for three Integrated Development Environments (IDE) commonly used by ActionScript developers: Flash Professional, FlashDevelop, and Flash Develop. We’ll target our templates for ActionScript development. This tutorial requires FlashDevelop 4.0+ and Open Exhibits 2 (download the sdk ). 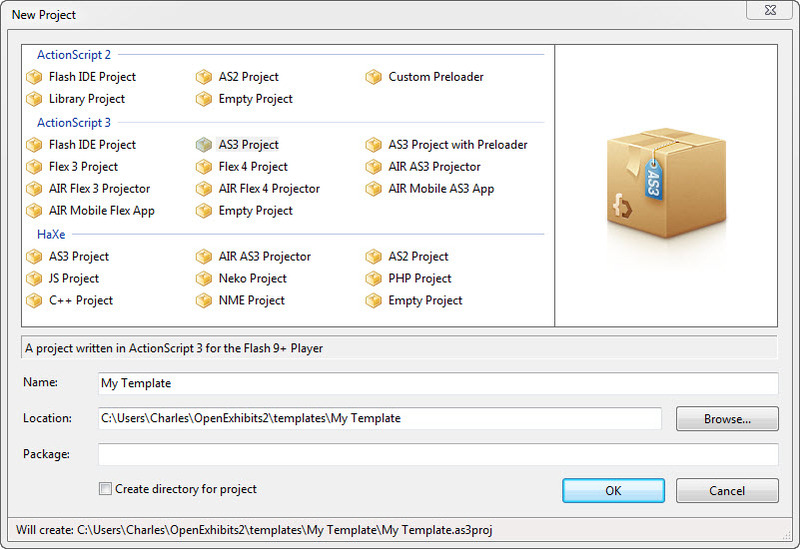 In this tutorial we’ll use FlashDevelop 4.0 to create a template project that we can use to create Open Exhibits applications using only ActionScript. 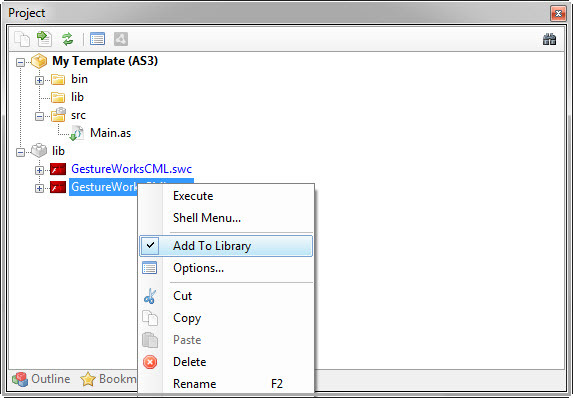 In the dialog window, select the AS3Project. Note that Charles will be replaced by your own user name. Click the OKbutton. Let’s link the Open Exhibits library files to our project. There are several ways to do this in FlashDevelop. We’ll use Project Classpaths. Note that the Project Classpath is defined through a relative link. This is the default behavior of Flash Develop. The downside of this is you will have to re-link this library should you ever change the location of your template project. You may want to use a Global Classpath instead. 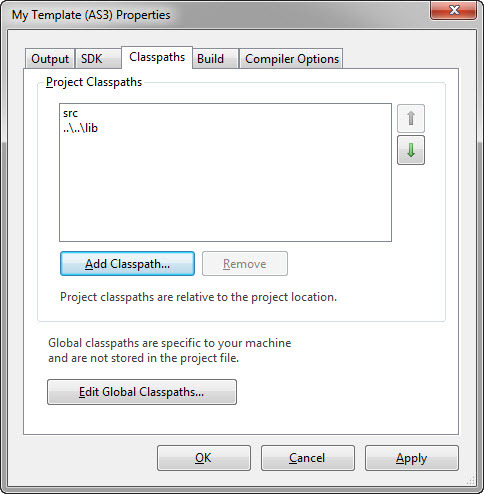 See the Flash Develop documentation for more information on setting Global Classpaths. The Open Exhibits library is made up of two swc files. The GestureWorksGML.swc file contains the required classes and assets for all GestureWorks and Open Exhibits applications. 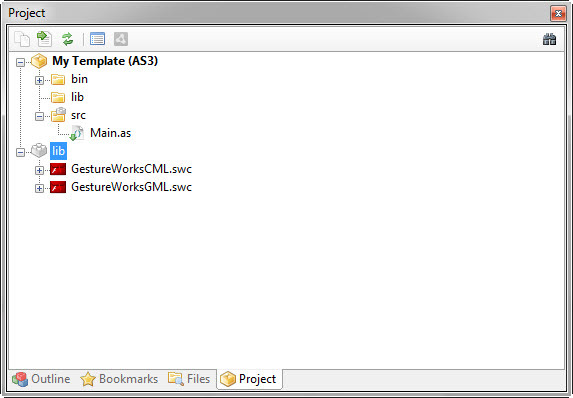 The GestureWorksCML.swc file contains the CML classes and assets. This library is not a requirement for GesureWorks and Open Exhibits applications. We have to explicitly add each swc to our project library. Right click on each swc and select Add To Library from the pop-up menu. 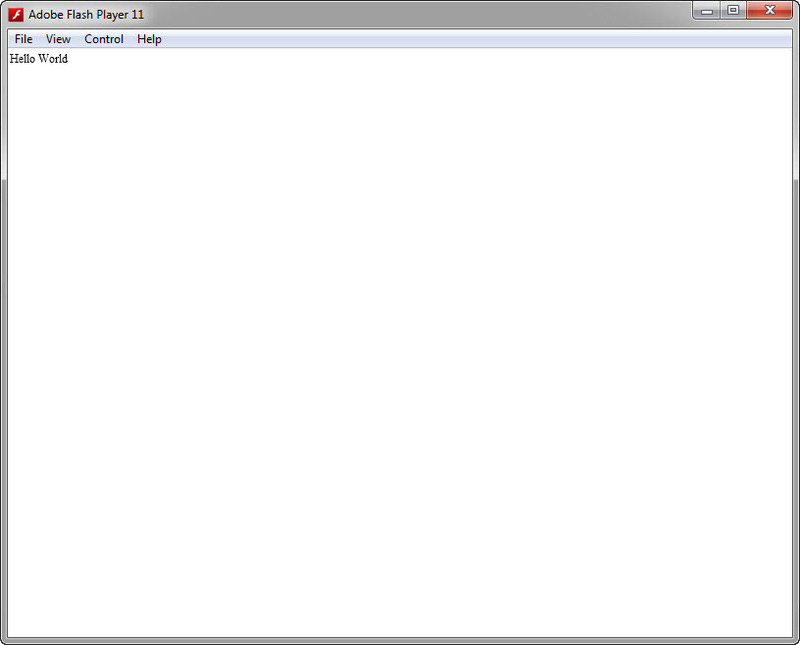 We now have our project paths set up correctly.